Theater artist Jim Ahrens is looking forward to Antigone at Park Square Theatre in St Paul. 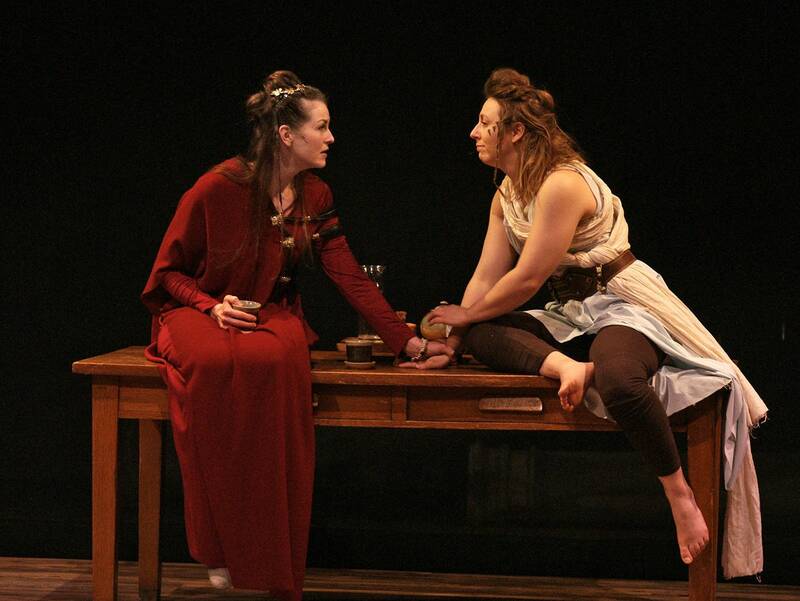 The show is an adaptation of Sophocles play, but in this case, all the parts are played by women. Ahrens says at its core the play is about the pull between following the rules and following your heart. Performances run through March 3. Playwright Dan Pinkerton just saw Transatlantic Love Affair's production of "The Devout," an original work inspired by the story of Medusa. The show features TLA's signature creative movement, using actors' bodies to create the set. Pinkerton says "The Devout" is a story that will resonate with audiences for a long time to come. Performances run at the Illusion Theater through Feb. 17. Artist Dafne Caruso loves Ely's Winter Festival, which offers ten full days of activities and entertainment. Choose from winter sports, music concerts, puzzle tournaments and art markets. Caruso says she particularly enjoys seeing all the local art hanging in store-front windows, turning downtown Ely into a public gallery. The festival will be Feb. 7 to Feb. 17.